In the town of Titipu, flirting is punishable by death on the command of the Mikado himself! But what happens when the Lord High Executioner is himself condemned to die? And what secret does the wandering minstrel Nanki-Poo hide, that the Mikado and his entire entourage come to witness his execution? 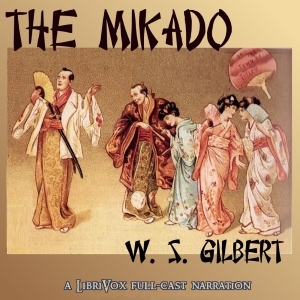 "The Mikado" premiered in 1885, when it broke all records for the longest-running musical. It remains arguably the most popular of the Gilbert & Sullivan operettas. Occasionally described as "English ladies with knitting needles in their hair", Gilbert disguised his criticism of British politics by the (ostensibly) Japanese setting. The universal themes of love and death have kept this opera in constant production for over 125 years.